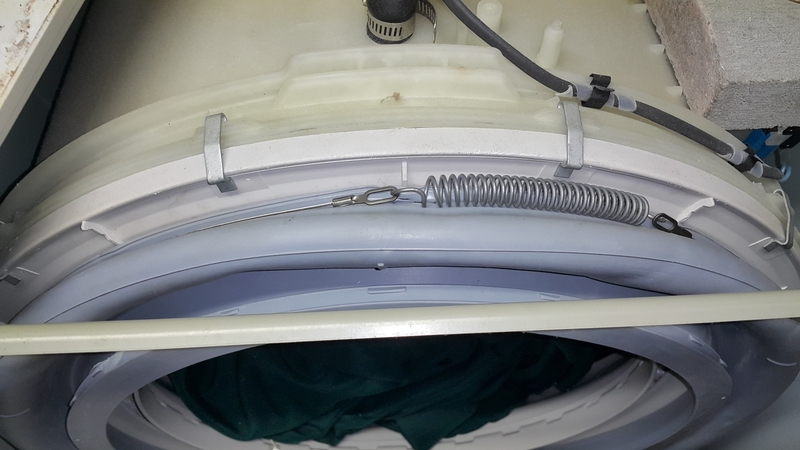 Washer Maytag Neptune MAH3000AWW - leaking water from the front gasket - Repair in Saratoga, CA. After one of our techs replaced the motor in this unit, the customer called us again saying that the water was leaking from the front gasket. 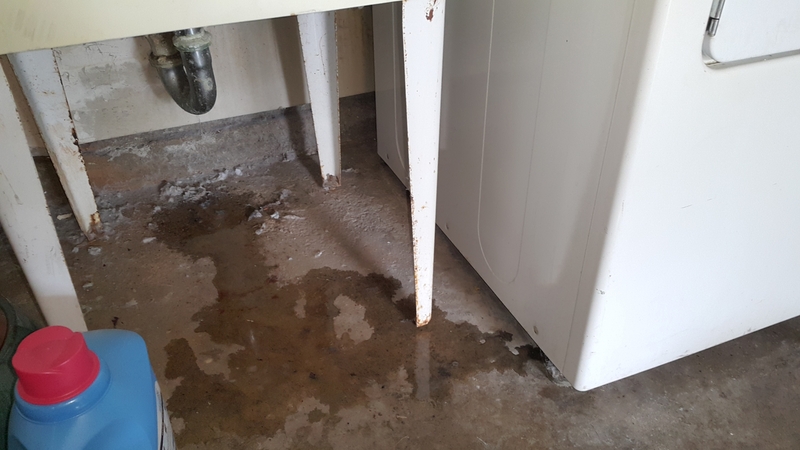 Once the tech came back though, he saw that the water was leaking from the pipe underneath the sink - where the water would pour out. 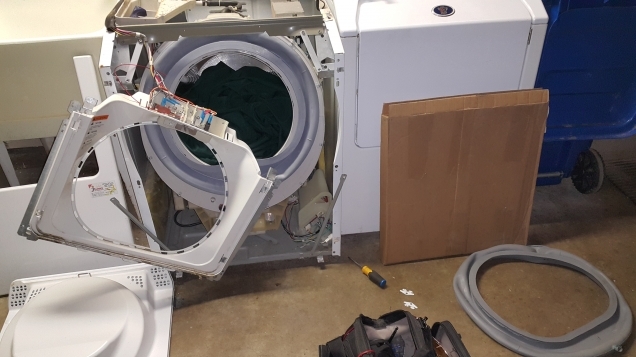 The customer was apologizing but then the next day she called again saying that the washer was indeed leaking from the gasket. The tech went back to check what the issue was, and it turned out that there was a leak in the gasket. He tried fitting it correctly but it would keep leaking so the only way to stop the leak was replacing the gasket. It’s not the easiest job, however, and it tool the tech about an hour and a half to replace the Maytag door gasket Part number 12002533. 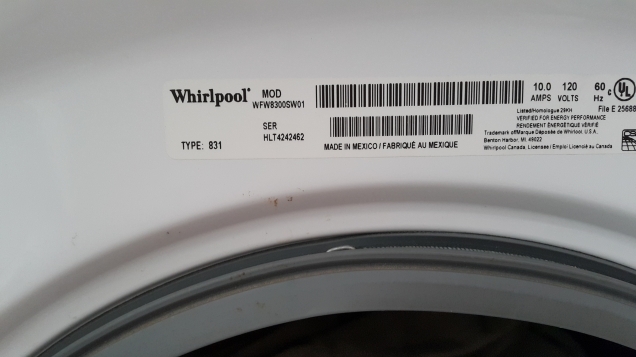 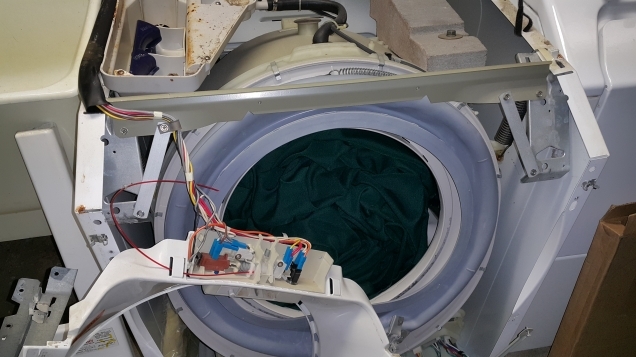 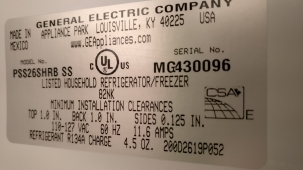 The Maytag Neptune washer repair was now finally complete, the new motor was running smoothly, the new gasket was not leaking, and the customer was happy to have a perfecty working washer.